The support person got the customer to allow them to make a remote connection so they could diagnose their computer. Invariably, they would scare the customer and tell them their computer was in bad shape with spyware and virus infections, Windows problems and hard drive issues. They would tell them that these were the real source of their problems and that they could fix them. Then they gave them a ridiculous price, often $200 – $300 to repair their computers. Gee, we do it for only $130. The most common names are Mindspark, My PC Backup, Conduit and My Web Search. These virus infections usually load several of these programs all at once, so the customer is bombarded with these fake program popups doing fake scans and asking them to buy them I order to correct the fake problems they found. How Do These Scammers Get to You? 1) You do a web search for let’s say, HP Support. Then you click on the link for one of the top 2 or 3 results you get from your search. Well guess what? These links DO NOT go to HP! Look closer before you click. First, you’ll often see a little symbol that says “Ad”, meaning it’s an advertisement, not a support site. Look closer and you’ll see the actual web address for the site and you will notice it doesn’t say “HP.COM” anywhere in it. There’s your proof that you are not going to HP. You should keep scrolling down the page until you see a link going to HP. Better yet, just type in “hp.com” into the Address bar, NOT in the search box, as shown below. The main mistake people make is putting the address in the search box, which gives you the page with all the fake sites. 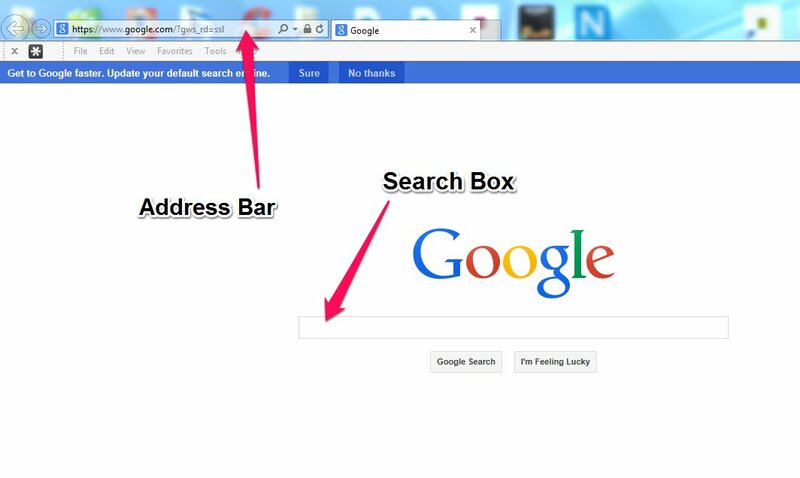 The Address bar is the small box way at the top of the browser window, as shown below. The other way is that you get a phone call from someone claiming to be from Microsoft, or some other computer company telling you they detected problems on your computer. Trust me, Microsoft will NEVER call you! Not unless you’re a huge corporate client paying millions of dollars for Microsoft products and support. This is a fake call! So the bottom line is, never let some support person take remote control of your computer, unless you are absolutely sure you are talking to the company you wanted to contact. If you fall victim to one of these scams, we can help you. We have many years of experience removing virus infections and teaching you how to stay safe.